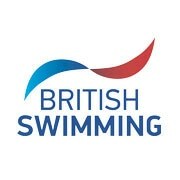 Joe Litchfield of City of Sheffield claimed gold in the men’s 400m Individual Medley on day two of the Swim England National Winter Championships. The 19-year-old touched in a new personal best time of 4:18.70 to top the podium. He was over seven seconds faster than his heat swim. Commenting on his performance, Litchfield said: “I was going into it quite nervous. “I knew I had to do a big PB but I’ve never raced hard in December before so it was something new for me. Maidenhead’s European Junior silver medallist Tom Dean claimed silver. He touched in a personal 4:19.55 for his medal. Loughborough University’s Fraser Minnican followed up for third, claiming bronze in a time of 4:20.25. The B final went to Zak Logue of City of Sunderland, who beat Nathan Wells of Loughborough Uni and Newcastle’s Adam Wilson to the touch. He claimed gold in 4:30.37. Stockport Metro’s Holly Hibbott dominated the women’s 800m Freestyle. The 18-year-old, who has already been named on the England team for next year’s Commonwealth Games, touched in 8:38.54 for gold. “I’m quite happy with my gold medal, but I wish I had been closer to my PB,” said Hibbott, who set a lifetime best 8:30.66 to reach the final on her World Championship debut earlier this year. Loughborough Uni’s Alice Dearing claimed silver in 8:43.73. Bronze went to City of Leeds’ Leah Crisp for her 8:47.90 effort. Plymouth Leander secured gold in the Men’s 4x100m Freestyle relay. The quartet of Reece Dunn, James Watson, Freddy Clampett and Thomas Fannon swam a collective 3:25.58. They were chased all the way by Mount Kelly, who took silver in 3:27.34. Hatfield took the bronze medal with 3:33.90.